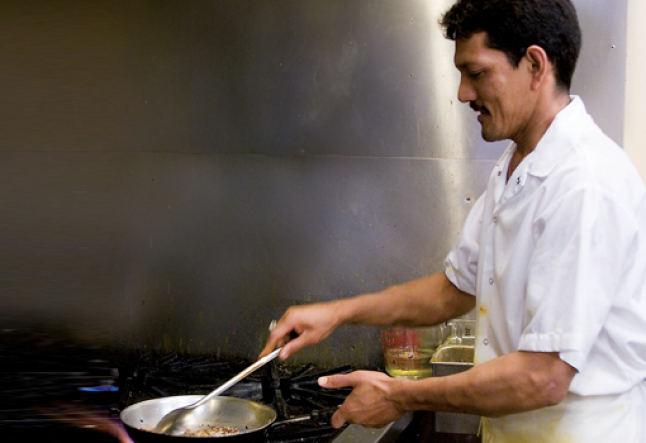 Owner and chef, dhruva thapa, of berkeley’s taste of the himalayas restaurant prepares a classic indian favorite. Tofu is a good substitute for cheese cubes and even for poultry and other meats, as it is high in energy giving protein and low in fat. 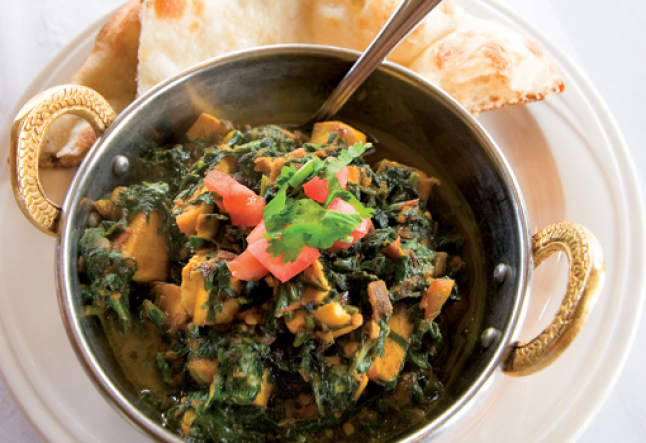 This dish is not only nutritional but also tasty and appetizing. 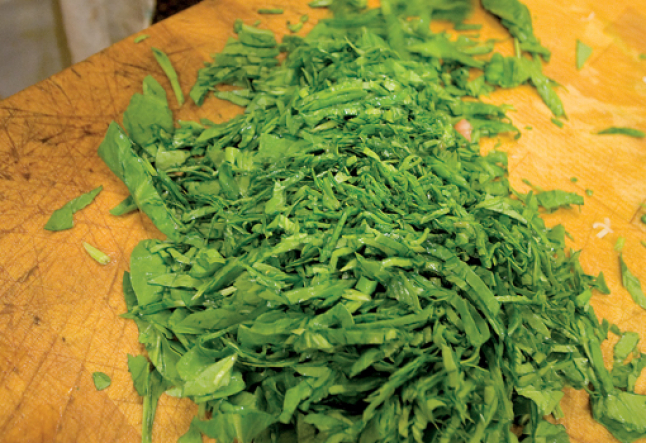 Fresh spinach is a rich source of vitamins A and C, as well as iron. 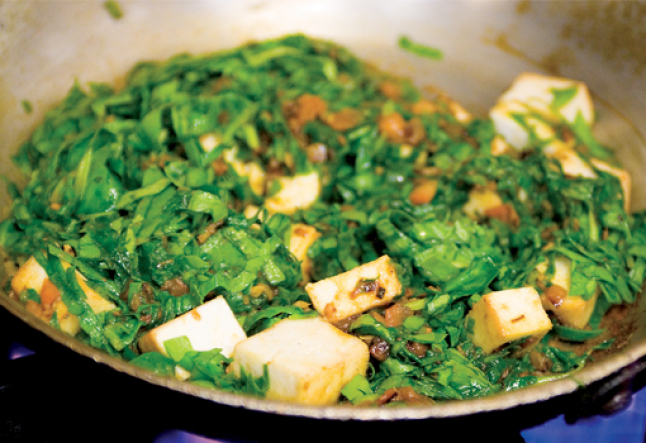 Tofu Palak is quick and easy to prepare and will surely be a treat for your taste buds. 1. Heat 2 T of olive oil in a saucepan. Add the tofu cubes and sauté until golden brown. Be careful not to over cook. Set aside. 2. 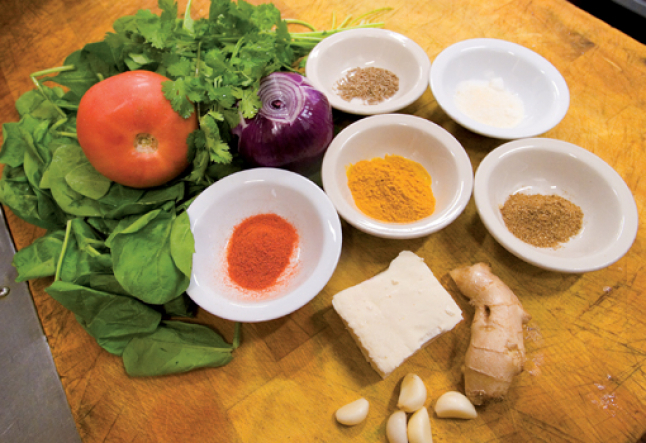 Chop or food process the onion, garlic and ginger into small pieces and set aside. 3. Heat the remaining oil in a saucepan and add the chopped onion, cumin seeds, garlic and ginger; sauté for 1 minute. 4. Add the turmeric powder and salt to taste. Sauté for another 30 seconds. 5. Add the tomatoes and sauté for 4-5 minutes. Sprinkle in the chili powder, coriander and cumin powder. Add a little water so that it doesn’t burn and create a bitter taste. Add the spinach slowly to the mixture along with 1/2 c water. Bring to a boil, mixing well; then add the fried tofu cubes, stirring for 2-4 minutes or until the tofu is heated through. Serve hot.